Structural Mortar is a single component Portland cement based plaster containing admixtures for superior bonding strength. 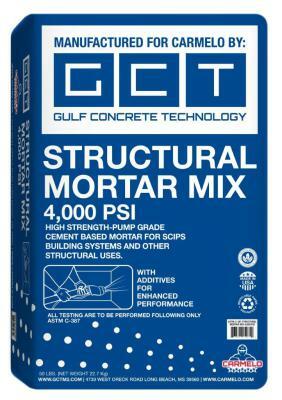 Depending upon the application, Structural Mortar Mix may be sprayed or hand-trowelled. The product contains the right portions of fine aggregates for enhanced characteristics during placing and finishing. Packaged in 50 lb bags, Structural Mortar Mix is simple to use, only requiring the addition of water at the jobsite. Carmelo sprayable Plastering / Render Mortar Mix is a single component Portland cement based plaster containing additives for a superior bonding strength. Depending upon application, Render Mortar Mix may be sprayed or hand-troweled. The product contains specially graded materials easy to place and finish. 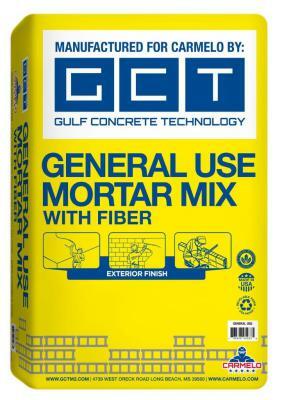 Packaged in 50 lb bags, Sprayable / Render Mortar Mix is simple to use, requiring only addition of water at the jobsite. 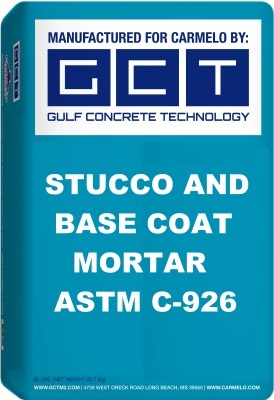 GCT EIFs Adhesive and Base Coat REINFORCED MORTAR is a Portland cement-based MORTAR ADHESIVE with fibers, modified with high quality additives for a superior bonding strength, and easy to place. 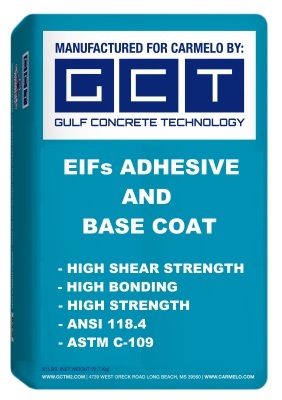 Specifically designed to adhere EPS/XPS to other surfaces or as a base/prime coat for foam boards and ICF products. It can also be easily hand-troweled. Packaged in 50 lb bags is simple to use, requiring only addition of water at the jobsite. The product in Environmentally Friendly with the use of local materials and enhanced with additives. Portland cement based plaster containing additives for a superior bonding strength. Depending upon application, Render Mortar Mix may be sprayed or hand-troweled. The product contains specially graded materials easy to place and finish. 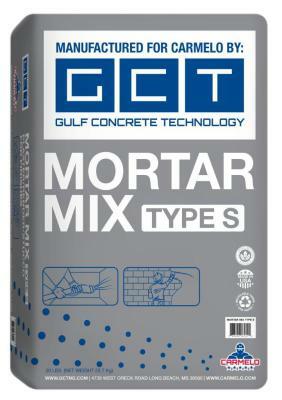 Packaged in 50 lb bags, Sprayable/Render Mortar Mix is simple to use, requiring only addition of water at the jobsite. The product in Environmentally Friendly with the use of local materials and enhanced with additives.